One of my favorite places in Southern California is San Juan Capistrano. It has it all. A beautiful mission, good restaurants, historic homes in a quaint downtown, and most importantly a petting zoo. I first visited this town on the way to San Diego years ago and since then I like to make a pilgrimage back at least once a year, just as the Capistrano swallows do. It's such a charming place and it feels so isolated from the rest of the hustle and bustle of things. I find myself yearning to be one of its permanent residents. 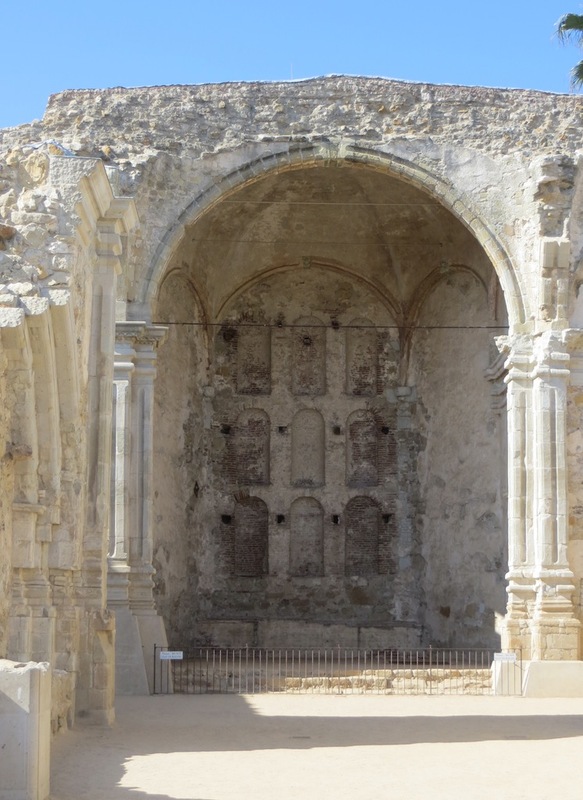 I noticed that everyone we encountered in San Juan Capistrano seemed extraordinarily happy and who can blame them? Maybe it's the fresh beach air or maybe it's some sort of magic spell that the swallows which make a pilgrimage to the town every spring cast upon the residents? Well, whatever it is, it is something special. 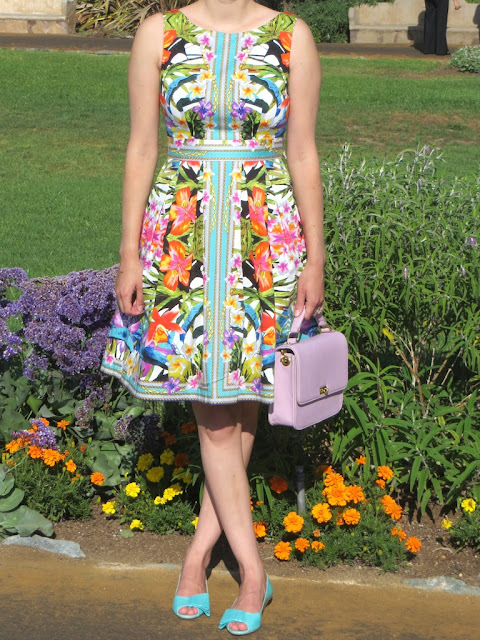 I wore this colorful dress which is again a find from Marshall's ($29.99) as I thought the cheerful flora was perfect for this very colorful location that has its fair share of flowers as well. 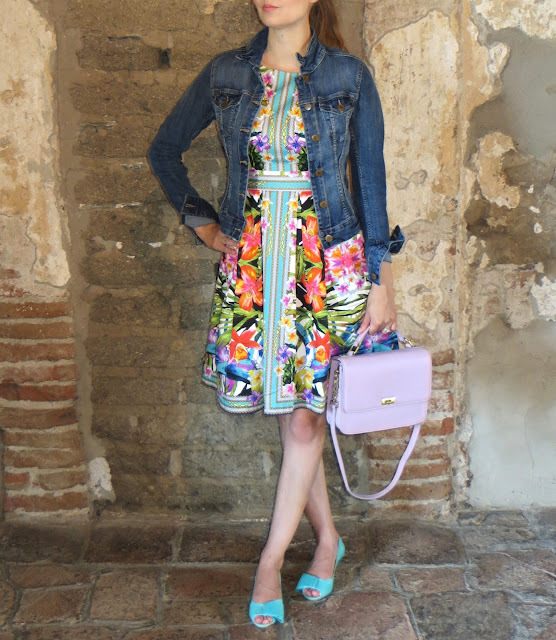 The flowers are quite abundant in the gardens of the mission, which are featured in the pictures of my ensemble below. 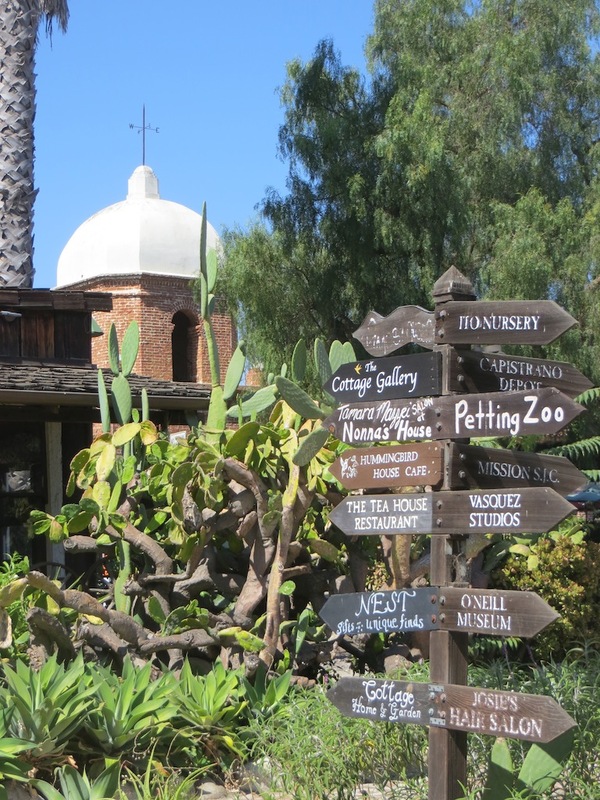 In the old town district of San Juan Capistrano there is much to do. The wooden sign depicted below will help you situate yourself. We decided to visit the petting zoo first. 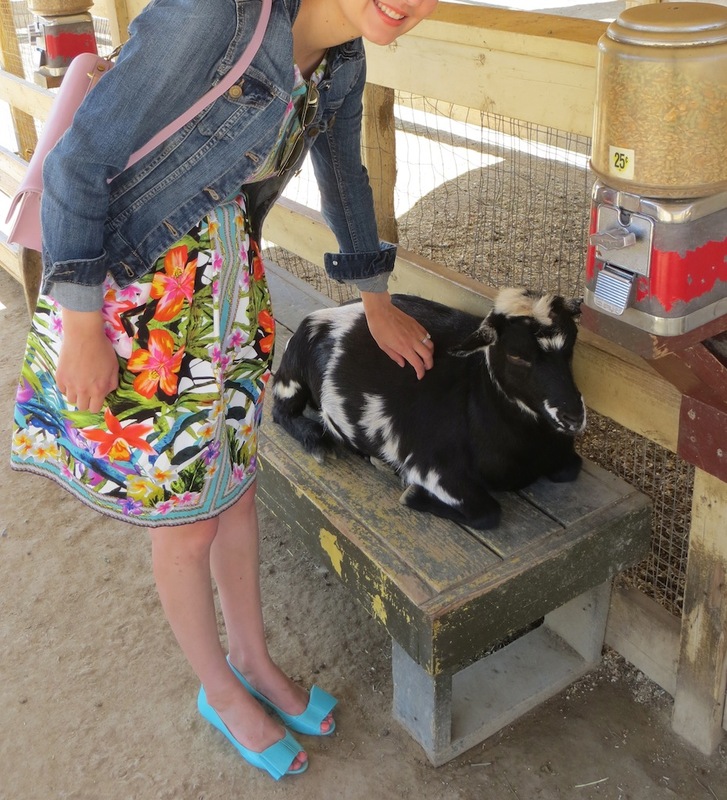 Sure I'm too old to go to a petting zoo, but I secretly wish I owned my own farm which would be sort of a Noah's Ark hodgepodge of animals. Petting zoos allow me to indulge in this fantasy for a little while. 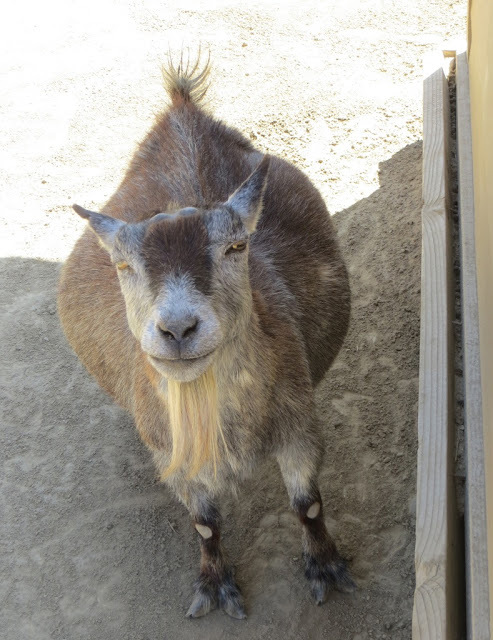 This goat was my favorite at the petting zoo, so he's getting his 15 minutes of fame on my blog. He looked really pissed off. Relax Mr. Goat! You're a goat at a petting zoo with tons of hay, a goat "villa" and you live in San Juan Capistrano. Life is good! 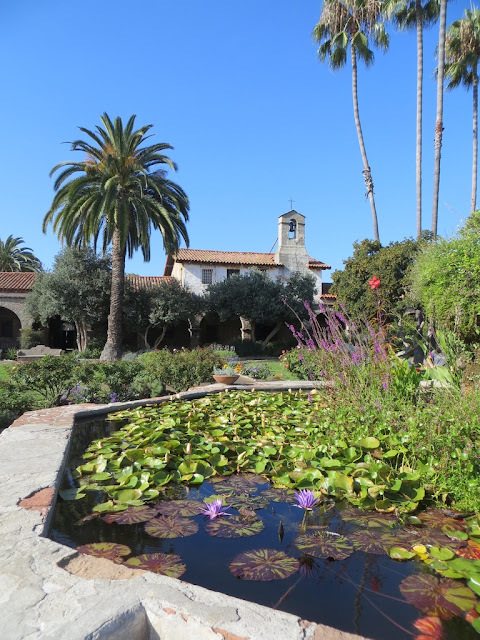 After the petting zoo we went to the San Juan Capistrano mission. Due to my husband's love of missions I've seen a lot of them over the years, but this one is by far the most beautiful in my opinion due to the gardens. Apparently a lot of other people think it's a beautiful place too because there were at least three couples having professional photos taken on site and a bunch of amateur photographers snapping up the scenery and love ones posing amidst the scenery. 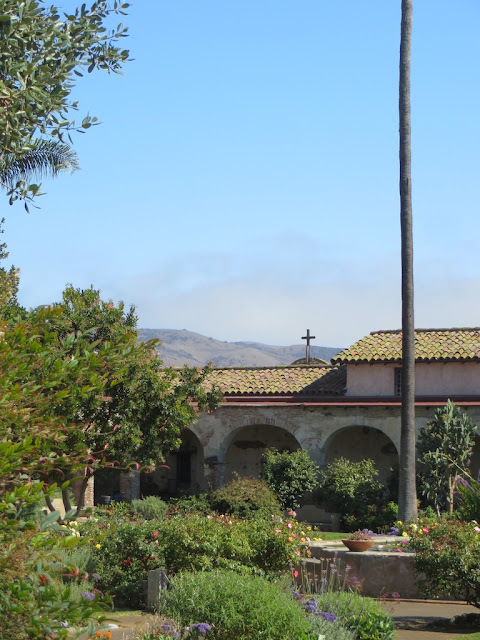 Here are some of my favorite photos which I took to capture the beauty of the mission. 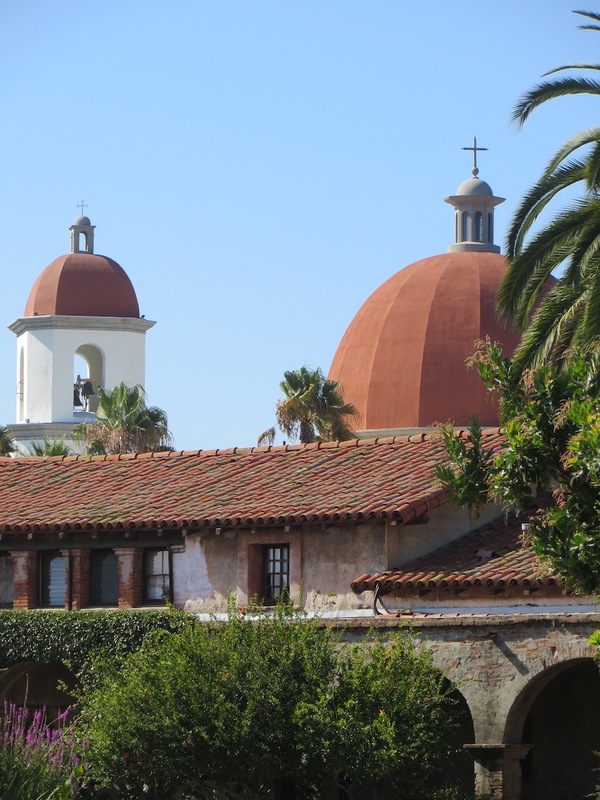 As you can see, the mission from almost every angle offers picturesque postcard quality views. 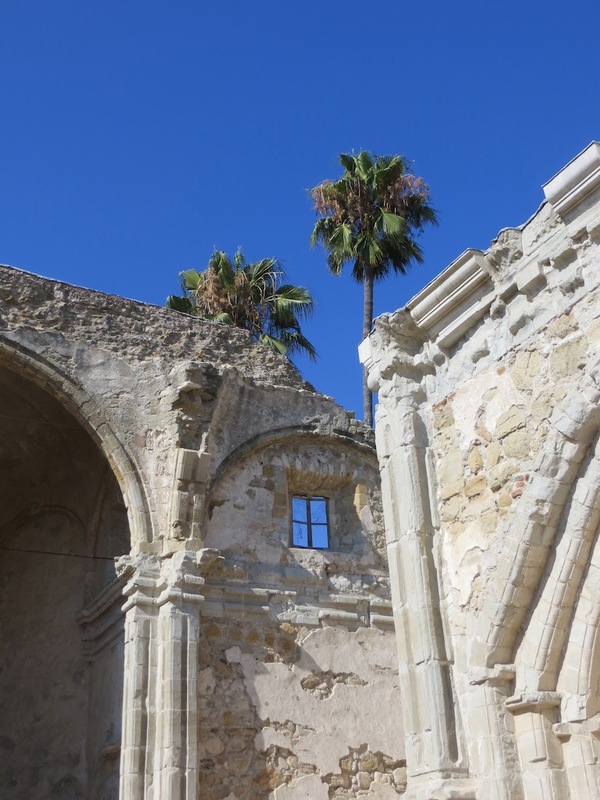 Another interesting and unique aspect of the San Juan Capistrano mission is the Great Stone church, which was destroyed when an earthquake struck during mass in 1812, killing 40 people. To cap off our day in San Juan Capistrano we went to a restaurant located inside of a Santa Fe railroad train car. The restaurant is actually comprised of several rail cars, and there is one which you can dine in. 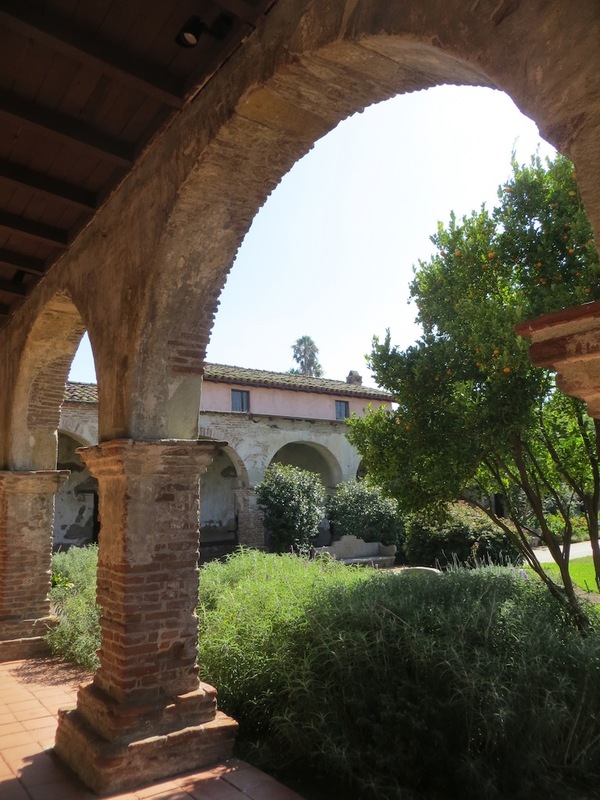 Well, I hope you enjoyed my adventures in the fine town of San Juan Capistrano. Next time you are in Southern California I would recommend taking a trip here to check out all of the sites and perhaps discover some of your own favorite places in town. Every time I go there is always something new to be found! You have the most colorful collection of dresses, I'd love to see the kaleidoscope that must be your closet! Thank you Lisa! My closet does look like a big kaleidoscope! Thank you! We had a groupon for the restaurant so it ended up being a pretty good deal. Thank you for stopping by Heather! I would be happy to answer any questions you have about my blog.